During the races of the WOC and WTOC a live page will be activated 15 minutes before the race of the day with information and links for liveresults, streaming audio from the arena and also the new IOF LiveCenter service for WOC. The IOF is at the moment developing a LiveCenter service, which will be the entry point for people wanting to follow WOC, IOF Events live or re-live. In the first instance, the service will provide and guarantee high quality GPS tracking from IOF events. In addition, LiveCenter will soon include optional services such as web-TV (arena or TV production) and split times of all runners with GPS tracking units. Future plans include integrating radio controls with radio control times of all participants, and official results. You can follow the World Orienteering Championships GPS tracking via LiveCenterIOF link in live page WOC. You can buy the tickets here: http://shop.orienteering.org/ Tickets are valid either for one event (eg. middle distance competition), or for the whole week. The World Championships events are used to further test the service. Most likely, web-TV will also be provided with arena speaker. 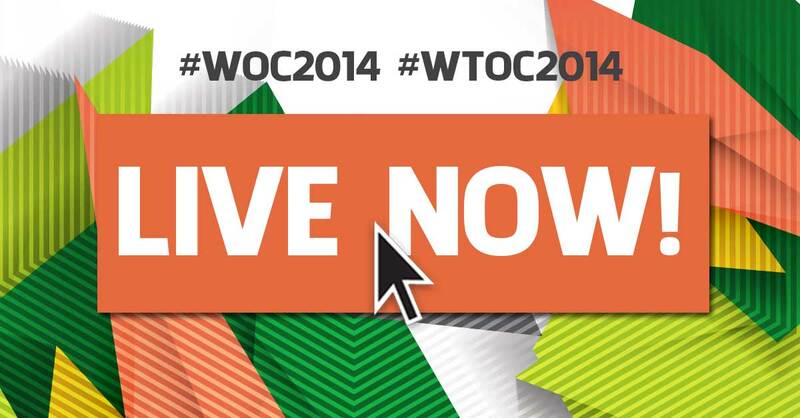 Comments on Facebook, Twitter, photos and videos will be more content of the live page live WOC and WTOC 2014.